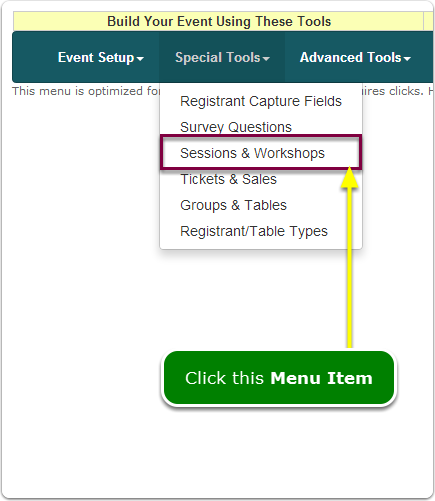 Help Documents - Version 5 Add Sessions (Workshops, Breakouts)How do I set a maximum number or minimum number of session selections ACROSS ALL GROUPS? Set a maximum or minimum number of session selections ACROSS ALL GROUPS? 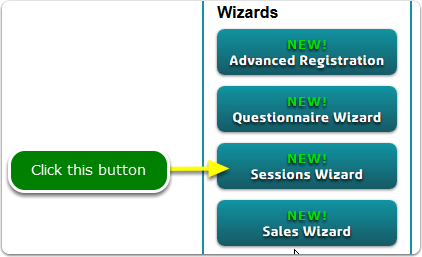 These settings are at the top of the Session Wizard screen. Zoom: Set a maximum or minimum number of session selections ACROSS ALL GROUPS? Need to set the maximum or minimum session selections within a GROUP? View this document: How do I set maximum number or minimum number of session selections WITHIN ONE GROUP? Prev: How do I set a maximum number or minimum number of session selections WITHIN ONE GROUP? Next: Requiring attendance at a session? DON'T DO THIS!